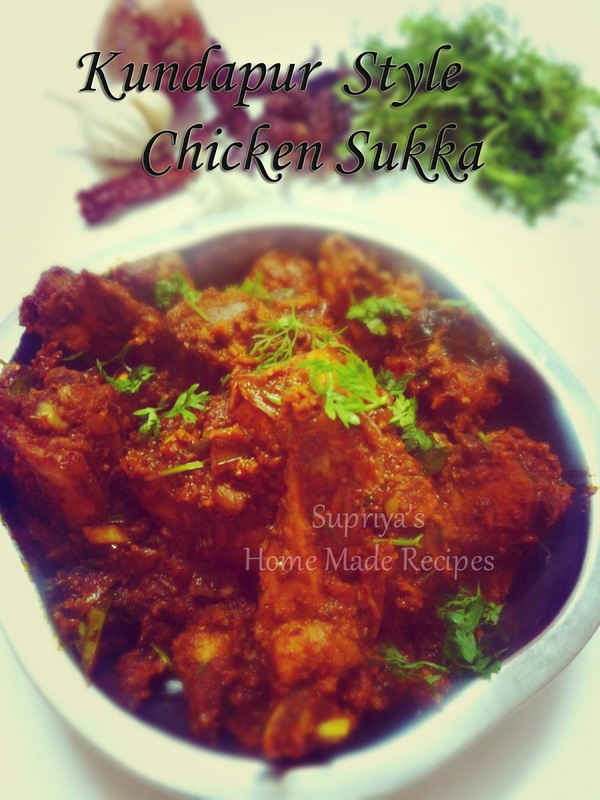 People from coastal Karnataka belt are very much aware of this popular chicken sukka dish. Today's post is the non-veg recipe from the most popular restaurant in Kundapur - Shetty's Hotel. 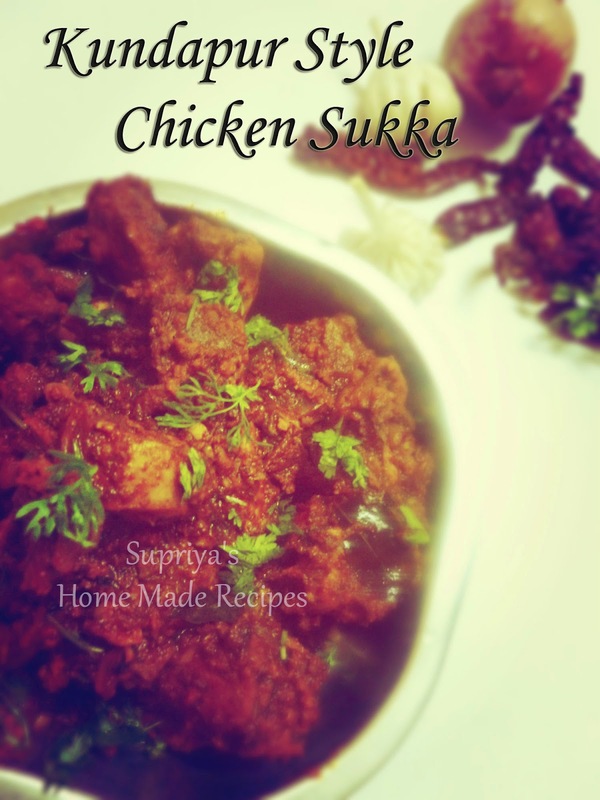 I love Mangalorean chicken sukka, but this is something different and includes more ingredients for the sukka compared to mangalorean chicken sukka. Taste wise, no compromise, it's- delicious, spicy and mouth watering dish. 1. Dry roast or roast the ingredients mentioned in roast part with a teaspoon of oil one by one and powder it. 2. Heat 2tsp ghee + 2 tsp oil in a wide kadai and add curry leaves and chopped garlic pieces. Saute it for few secs. 3. Add sliced onions and fry it till it turns golden brown in colour. Add haldi and chopped tomatoes and cook till tomatoes become soft. 4. Add chicken pieces and mix all together. Cover the lid and allow the chicken to cook. No need of adding water as chicken itself oozes out the water content. 5. Once chicken pieces are cooked, add salt , chilli powder and powdered masala. Add few drops of water and mix all together. Add shredded coconut, mix and close the lid and cook the chicken for few more mins in a low to medium heat.